Read on this article to know all DO’s and DON’Ts that one should follow while carrying out this technique to make your process a convenient one. 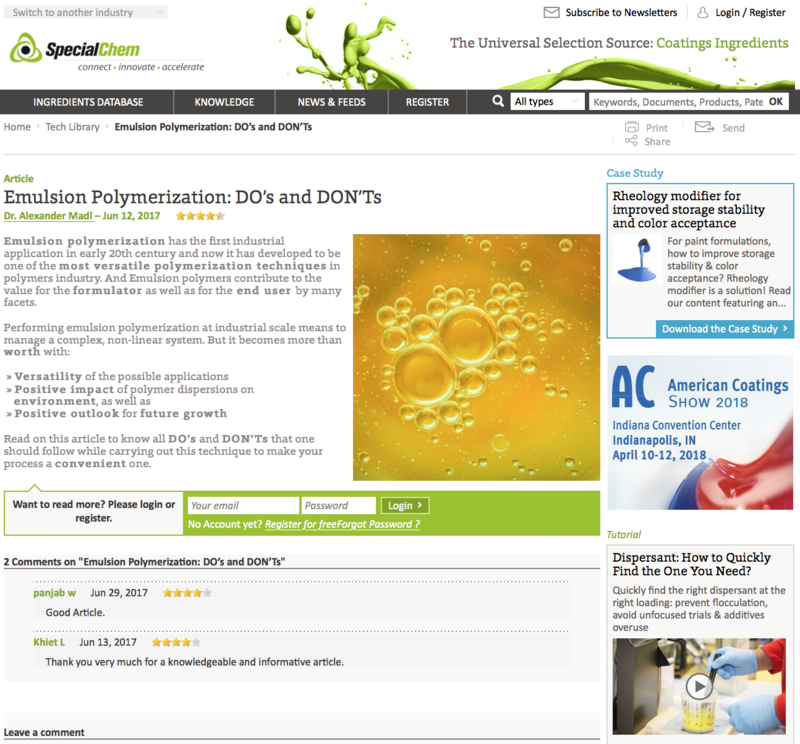 This entry was posted in Emulsion Polymers, Innovation, Publication and tagged chemistry, Emulsion Polymerization, Industrial Polymerisation, Scale-up. Bookmark the permalink.